TorQ is a framework which forms the basis of a production kdb+ system by implementing some core functionality and utilities on top of kdb+, allowing developers to concentrate on the application business logic. We have incorporated as many best practices as possible, with particular focus on performance, process management, diagnostic information, maintainability and extensibility. 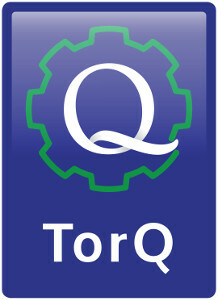 TorQ incorporates a suite of processes which are required in the majority of kdb+ environments. TorQ vastly reduces the time-to-market of any kdb+ implementation. This open source package has been designed as a convenient way for web clients to make requests to a kdb+ instance using the JSON format. The package can be easily integrated with Swagger UI, Docker and standard authentication methods such as SSO, allowing users to easily implement the package with their current set up. Database security can also be improved by only allowing certain requests to be run against a kdb+ instance and by setting additional permissions based on the username of the requester. TorQ Connectors allow simple integration with many commonly used market data providers and include appropriate data schemas set up in TorQ out of the box to capture and store data (EOD files or streaming data feeds). Core functionality such as message parsing and connection logic is standardized across the Connectors. The Connectors are deigned to act as a development kit, in most cases extending the libraries provided by the relevant market data vendors. ACTIV is a global provider of real-time, multi-asset financial market data and solutions. ACTIV offers neutral, managed services for buy and sell-side firms and technology providers seeking a complete market data solution that encompasses both global content management and data delivery across the enterprise. The award-winning EBS Market platform has been at the heart of the FX market for more than twenty years, and remains the benchmark for the professional FX trading community. Our EBS TorQ Connector provides simple integration to both the Live and Ai products. The Nanex framework NxCore is a high-performance ticker plant that brings the whole market to your workstation or desktop computer. NxCore excels in delivering and databasing all the quotes and trades transmitted by the exchanges, even in the hyper-active U.S. Option market (OPRA). Thomson Reuters Matching API (MAPI) Handlers provide ultra-low latency access to Thomson Reuters Matching market data and trading. They are implemented as easy-to-use yet flexible and powerful libraries that could be quickly integrated into client infrastructure. Our MAPI TorQ Connector provides a wrapper to this framework. 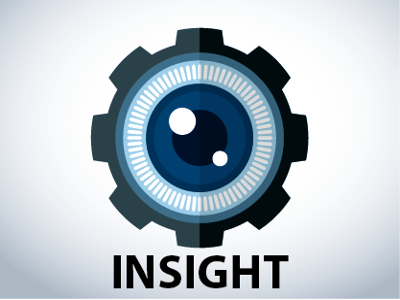 INSIGHT enables clients to forecast, capture and analyse cost elements relating to clinical trials. No more need for isolated silos of spreadsheets across the organisation. INSIGHT is powered by technologies by kdb+ and mongoDB.